Kyler is a young man who receives services through the Fayette County Board of Developmental Disabilities. While discussing Kyler’s hopes and dreams in a previous meeting with his Services and Supports Administrator Mel Cockerill, he shared that he has always wanted to go to The Rock and Roll Hall of Fame. Kyler has a strong passion for music. He loves listening to all types of music and enjoys going to concerts. 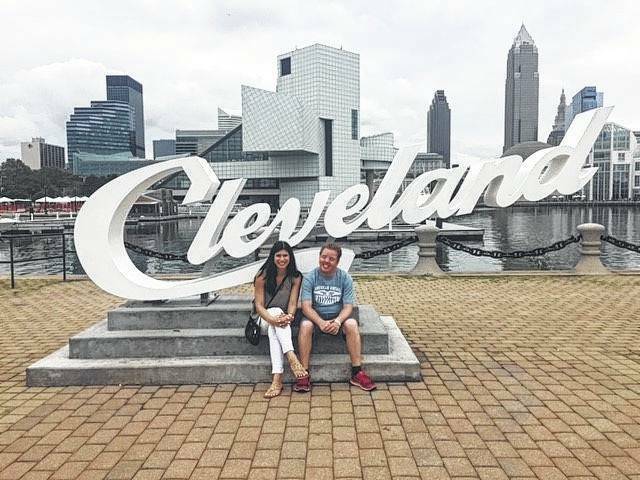 Mel jumped at the opportunity to take him to Cleveland to visit the historic landmark. During the long drive up to Cleveland, they jammed out to a variety of genres of tunes. He educated Mel on different facts about various artists/bands. They spent the entire day at the museum where Kyler loved seeing all the memorabilia, especially the Johnny Cash exhibit. On their return, Mel was excited to share this event with everyone, saying that they had a blast together and she felt so blessed to have been able to share that day with Kyler. Mel is just one of the services and supports administrators at Fayette County Board of DD. The SSAs are trained in Good Life Principles, Trauma Informed Care, and Person-Centered Philosophies that support people and their families with their personal outcomes that help them move forward, as they desire, in their life. Supports are designed to balance “what is important to a person” and “what is important for them.” The supports are also provided in many settings, such as but not limited to, the family home, supported living, community, school and employment. Mel Cockerill, services and supports administrator at the Fayette County Board of DD, recently visted the Rock & Roll Hall of Fame in Cleveland with Kyler, a young man who receives services through FCBDD. 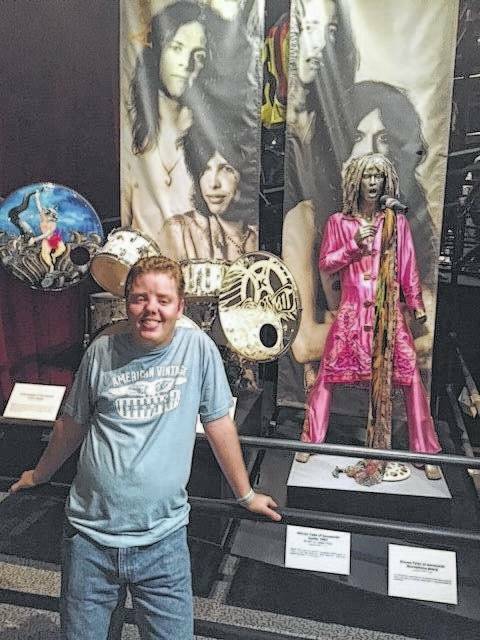 https://www.recordherald.com/wp-content/uploads/sites/27/2017/08/web1_KT.jpgMel Cockerill, services and supports administrator at the Fayette County Board of DD, recently visted the Rock & Roll Hall of Fame in Cleveland with Kyler, a young man who receives services through FCBDD. Kyler is a serious music enthusiast and enjoyed the exhibits at the hall of fame. https://www.recordherald.com/wp-content/uploads/sites/27/2017/08/web1_KT2.jpgKyler is a serious music enthusiast and enjoyed the exhibits at the hall of fame.